A friend suggested to go here. I ordered the chicken burrito, and they aren't joking . It was all chicken with a little cheese and that's it. The chicken was tasty, but I was hoping for some beans and rice or anything else to go with it. I probably should have ordered something different, but I doubt I will go there again. I will make the drive all the way over to Lancaster to get my Baja Fresh Burrito Ultimo with chicken and all the fixens. Rigoberto's is in West Salem on Wallace. 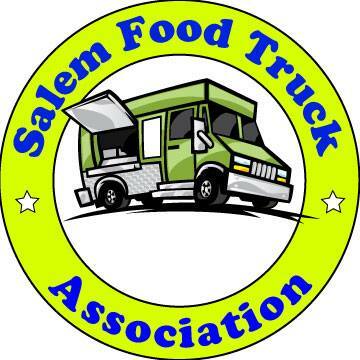 This is "Yummy Food's" first post on the Eat Salem Blog. Way to go! Rigoberto's is repackaged Muchas Gracias. Same menu, same salsas. Same blech. We tried Rigoberto's three times. Each time, the place was less than clean. And the food just didn't have the pizazz that I want from Mexican food, dull would be a good name for it. Also, they must not have their fryer at high enough heat. Everything is saturated with oil, this does not happen if your oil is hot enough. I agree re: blah food. However the blah Muchas food is amazing when drunk or otherwise impaired (probably why they're all open so late). Watch for the yellow menus - dead giveaway that it's really a Muchas Gracias. FYI, the Abierto's restaurants are also Muchas Clones. That should be enough of an explanation. My friends always get the Oregon Burrito when we go out in corvallis, and we make another stop at the McDonald's a block down so I can get something I can stomach. I totally disagree,good food,good price. better than what you would pay at baja fresh, or Taco Del Mar. And you get more food! I have tried almost everything on the menu the Flying Saucers are the best, followed by the fish tacos.A flying saucer can feed 2 people, at 3.85 thats a bargain. I think people are just put off because it doesnt have that flashy corporate chain look. I admit I do eat at Taco Del Mar, but thats because their isnt a MG nearby! Rigoberto's is a several year old chain that originated in California when they took over Alberto's. Alberto's was much better. I've eaten at 2 Rigoberto's in Bend OR, and been really happy with the food. Think it's blah? Well, that's what their great selection of hot sauces is for!! Also have some of the veges with them, fresh and pickled both. Duh! I agree that the burritos are too heavy on meat, but I didn't think most people would complain about that. Try the chile rellenos, mmmmmm. Rigoberto breakfast burritos are good! I'm eating one right now. I thought there were 2 Rigoberto's in Salem. Can't find info in the phone book, tho.